HURRAY FOR YOUTH LEADERS! This post come a little late, as these cookies were made for Monday, but given the AWESOME weather we've had, I simply delayed posting them. At our school, we have a group of students known as "Peer Mediators," whose job it is to help their fellow students resolve conflicts and provide a positive role-model to the younger students. As a reward for their efforts, our school requested some special cookies. Who could say no to that? 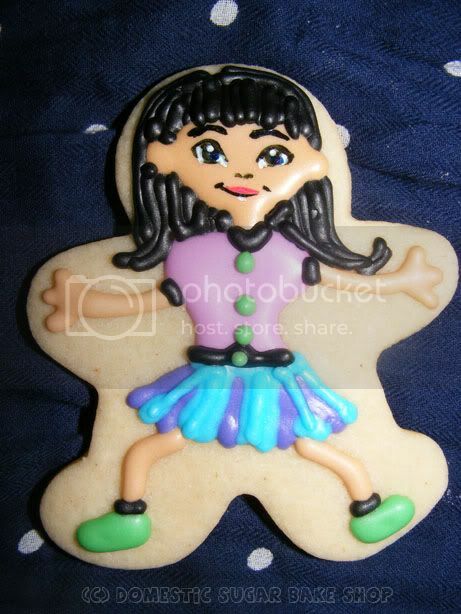 Each cookie was made as unique as the children; no cookie is the same. I made them in the same way I made my Cheerleader Cookies but I feel I've refined the process a little more. But... there were quite a few kids. I was asked to do two dozen cookies (Some Earth cookies, some kids). Here are the kids; each one is unique (My apologies for the bad photography)! So, this weekend is Canadian Thanksgiving (Le Jour de Grace). My parents are driving down here to celebrate. So far, the cabbage rolls are done, I'm thawing my turkey. My soup is ready. Bruschetta is stewing... so much preparation! Happy celebrations to all! 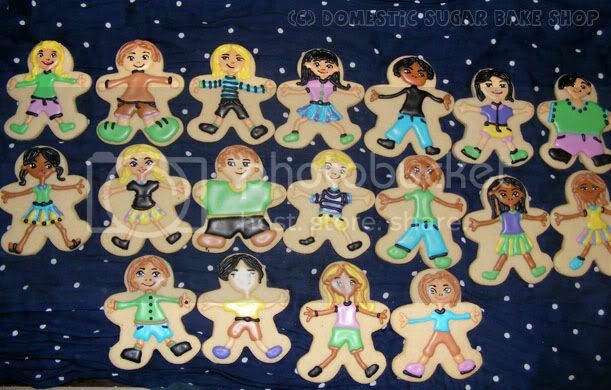 These cookies are absolutely adorable! What talent! Oh my, these are so sweet. I had to gawk a little while to take them all in :) I love each unique child and the amount of detail you gave each one. What amazing cookies! You are so talented. I'm envious!!! Wow! you're very talented! 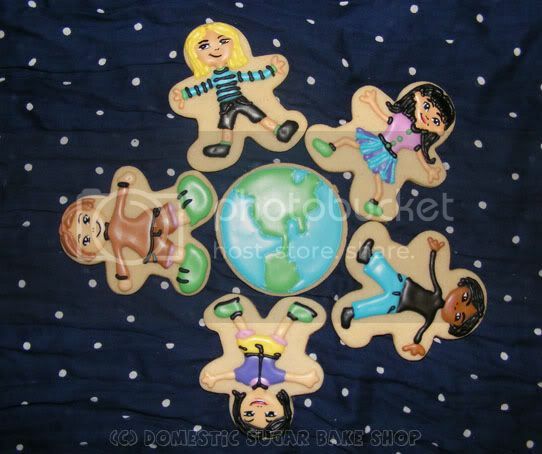 And what a cool idea to decorate actual people on a gingerbreadman cut out! Adorable! I love the details on these little people! 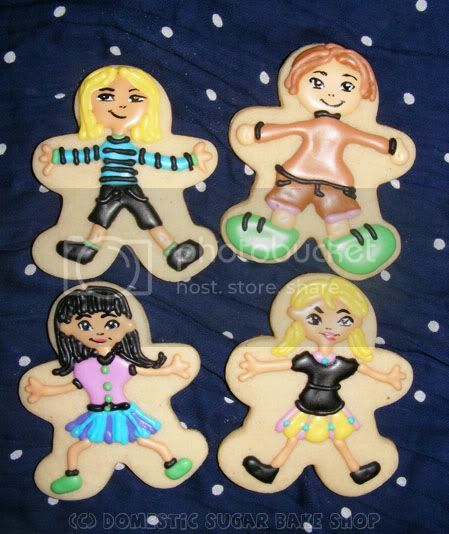 Very adorable cookies, amazing, love them! such a great job on these! love!